Monsoon takes on a whole new meaning when you find yourself in the highest rainfall zone in the Western Ghats – the second highest rainfall zone in India. 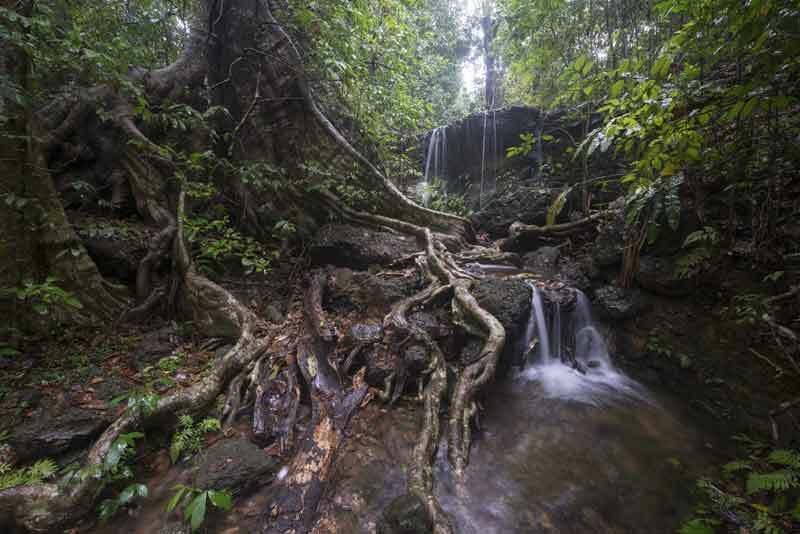 Agumbe, a wonderfully forested region in western Karnataka, “the king cobra capital of the world”, receives an average of 7640 millimeters of rainfall a year and a record of 4500 millimeters in a single month. With the coming of the monsoon and the first showers, one witnesses a miraculous transformation of the landscape —a change that occurs in more ways than can be perceived by a casual observer. At first, the thirsty laterite soil seems to absorb every drop of water. But the rain is incessant, and soon every little ditch, depression and trench is converted into a water body. Dry streams, reduced to a series of interspersed pools and rocks in the summer months, begin to trickle and then flow. 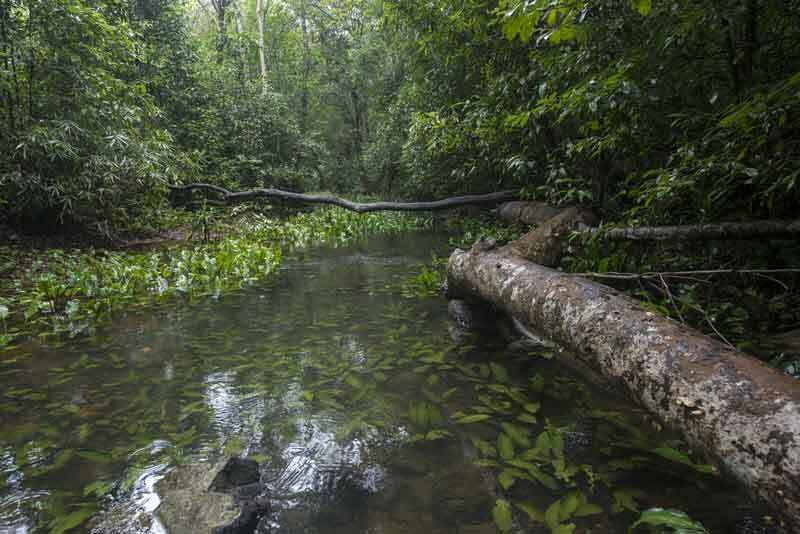 Rivulets course through plantations and forests, rapidly feeding streams and rivers. As the rivers begin to flow, cascading over weathered rock, fallen trees and dry banks, it sets in motion countless processes of revival, birth, growth, life and death. Water and moisture have profound effects on germination, breeding, nesting, spawning, metamorphosis, feeding, and movement of organisms. 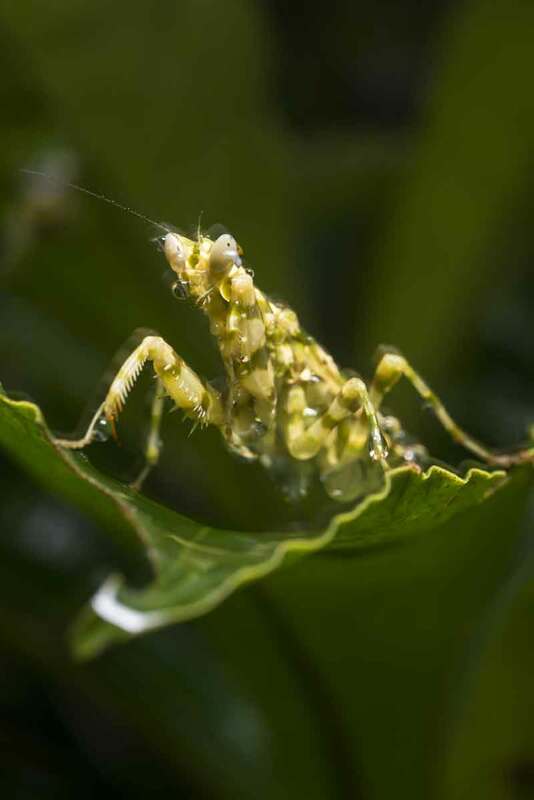 From bacteria to birds, snails to reptiles, frogs to fish, arthropods to otters and everything in between, there is an evident burst of activity. The scene seems straight out of a Hollywood action flick. Large numbers of toads cluster together in an event of explosive breeding, often forming mating balls. 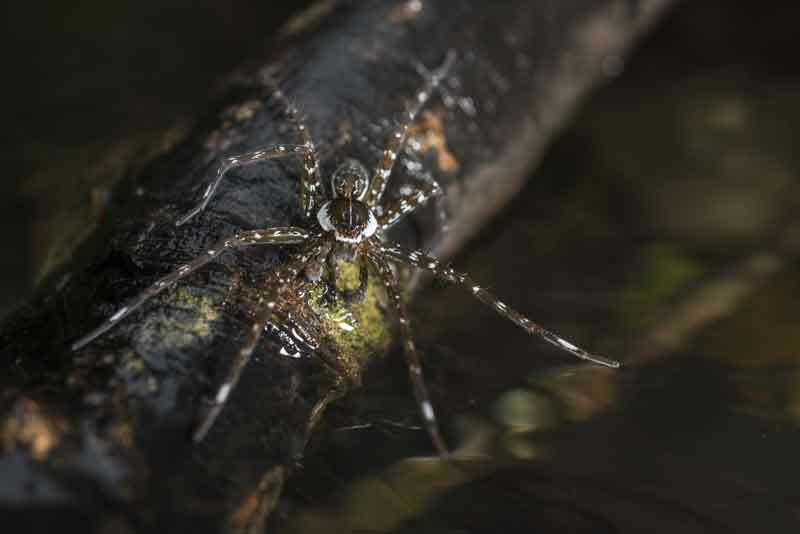 The result of this mass mating is evidenced the next morning with long strings of eggs entangled in vegetation, carpeting the edges of puddles and muddy pools. 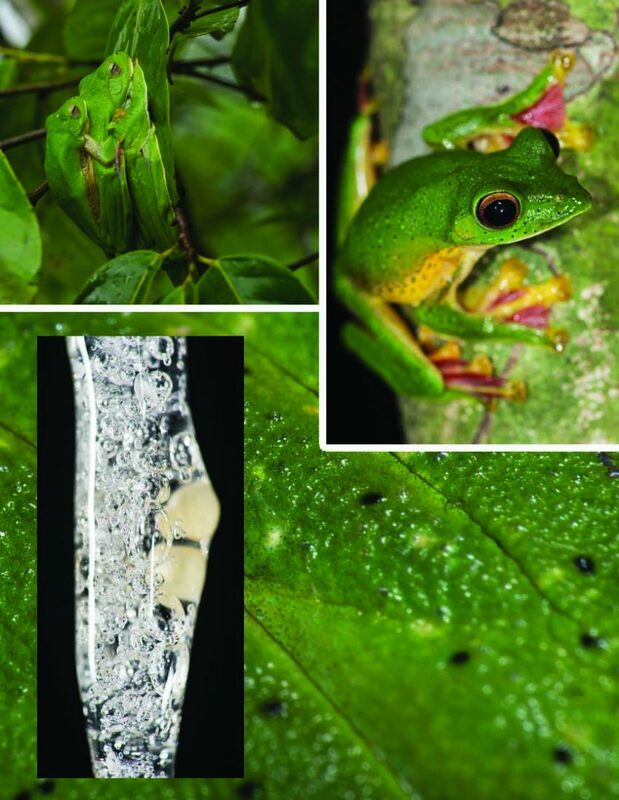 Up in the trees, the Malabar gliding frog (Rhacophorus malabaricus) also joins in the mating frenzy. These incredibly well-camouflaged amphibians don’t venture down to the pools of water on the ground. They are tree-dwellers, and prefer to conduct their business up in the canopy. Their carefully designed foam nests are built strategically above puddles and ditches, within which a number of small off-white eggs are laid. 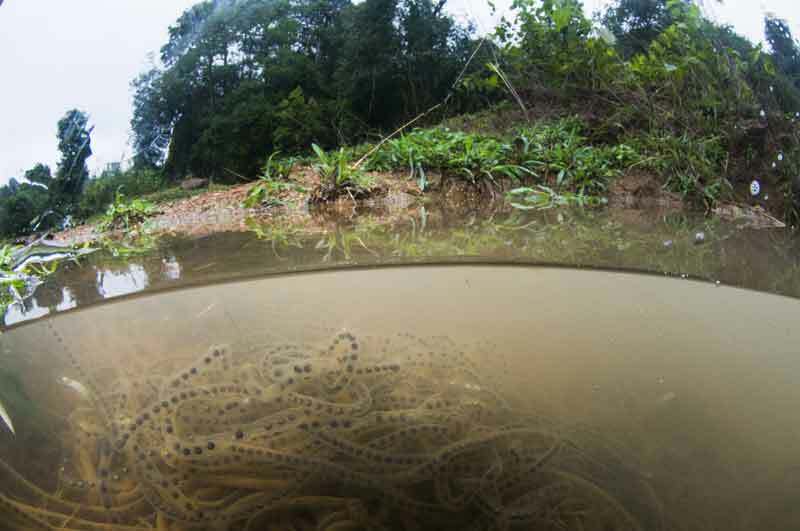 The newly-hatched tadpoles will fall into the waters below to live out the first stage of their lives as entirely aquatic animals before making their way back to the trees as adults. When the rivulets from the forest empty into the low-lying meadows a dramatic change can be witnessed, sometimes over a period of just a few hours. Who would have imagined that these flat tracts of agricultural land and grassy meadows could be transformed overnight into thriving aquatic systems? 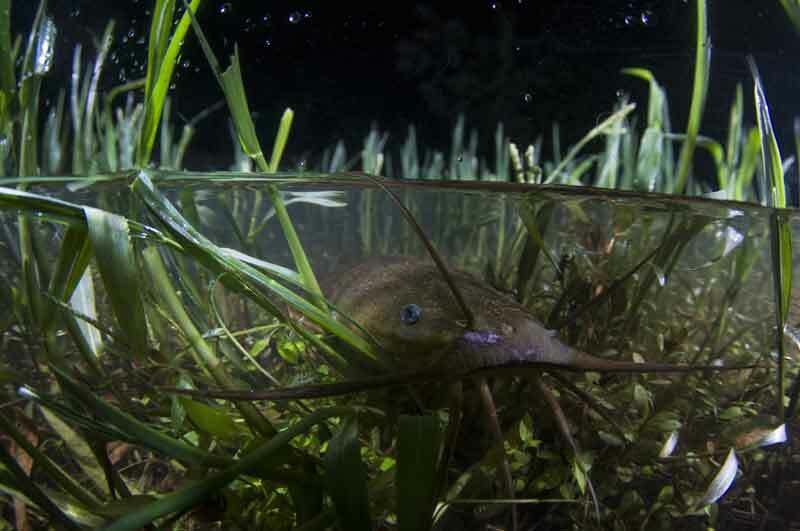 With the first flooding of these grasslands, creatures, that one wouldn’t usually expect in such areas – like the catfish – suddenly appear. Over 280 species of fish have been documented from the streams and rivers of the Western Ghats. 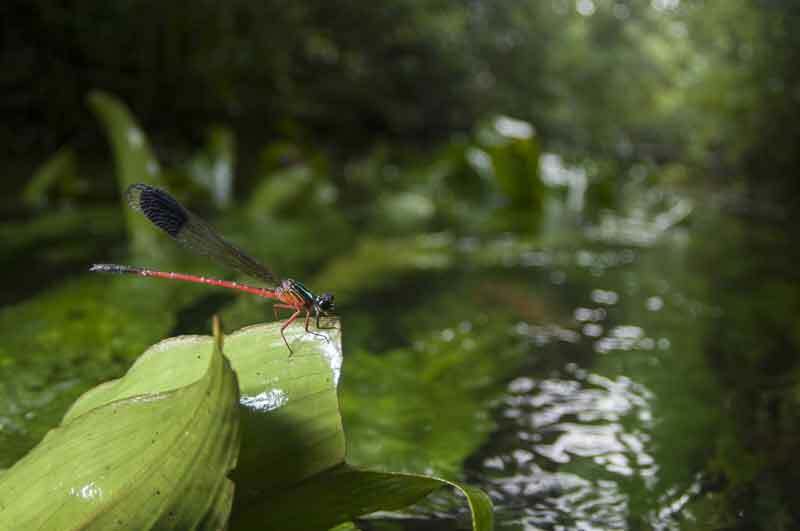 The health of these freshwater systems is vital to the health of all these fish species and a multitude of mammals, crustaceans, birds, insects and plants. All these creatures, witnessed over a few days of magical rain-driven transformation, are linked to the water and the coming of the monsoons. Their lives beat to the rhythm of the rain. Pundits the world over are already predicting our future water woes. It is common opinion that the wars of the not-so-distant future will be waged over water. But that is just the human perspective. What about the millions of other species that inhabit this planet alongside us? The creatures shown here are just a fraction of dependent on the fresh water that the monsoons bring. We have a responsibility to use water wisely, and understand that it is an invaluable and limited resource, for us and the creatures that share our planet. Tasneem Khan is the Assistant Director of the Andaman and Nicobar islands Environmental Team, India, tasneem@anetindia.org. Umeed Mistry is a diver and photographer, umeedmistry@gmail.com. Current Conservation is grateful to YES BANK & SAEVUS / NATURAL CAPITAL AWARDS for permission to use these images.